On October 16, 1950, Mr. & Mrs. Emanuel Smith, Sr. were blessed with a healthy seven and a half pound baby boy, which they named Emanuel Smith, Jr. Emanuel was a very happy and energetic child who grew up with two older sisters, two younger sisters and a younger brother. Emanuel attended Julia L. Armstrong School in Greenville, Mississippi from grades 1 through 6. Emanuel went on to attend Coleman High School where he was an honor student. He excelled in baseball and was co-captain of the football team. On April 13, 1965, at Pilgrim Home Missionary Baptist Church, Emanuel was baptized by Reverend R. J, Strong. He became an active member of the Sunday School and served on the Junior Deacon Board. Emanuel was very popular and was a member of numerous clubs and organizations in school. He graduated with honors from Coleman High School in 1969 and went on to attend Mississippi Valley State University. His four years stay at the University was an extremely rewarding and successful experience. He went on to graduate with honors in 1973 with a Bachelor of Science Degree in Social Science. Upon graduating from Mississippi Valley State University, Emanuel entered the University of New Orleans where he pursued a graduate degree in Guidance and Counseling. In May, 1995, he graduated from Union Baptist Theological College Seminary with a Masters of Divinity Degree. IN 2003, he received his Doctorate of Divinity. Emanuel entered the world of work in 1975. He worked in many positions of responsibility: Personnel Director for the Louisiana Superdome (1975); Program Director for the Louisiana State Department of Education (1977-78 and 1980-82); Personnel Director, New Orleans Health Corporation (1978-80); Administrative Manager, Delgado Community College (1982-84); Deputy Insurance Commissioner, Louisiana Department of Insurance (1984-87). In 1987, Emanuel formed his own business, Strategic Business Systems. Emanuel has served as Chairman of the Almonaster Michoud Industrial District, the New Orleans Health Corporation, the District 99 Enhancement Corporation and the Lower Ninth Ward Improvement Association. He has also served as a member of the Regional Transit Authority and is a member of the Omega Psi Phi Fraternity. Presently Emanuel is working at Southern University in New Orleans as the Director of the Small Business Development and Management Institute. He is also on staff at Union Baptist Theological College and Seminary as a religious instructor. 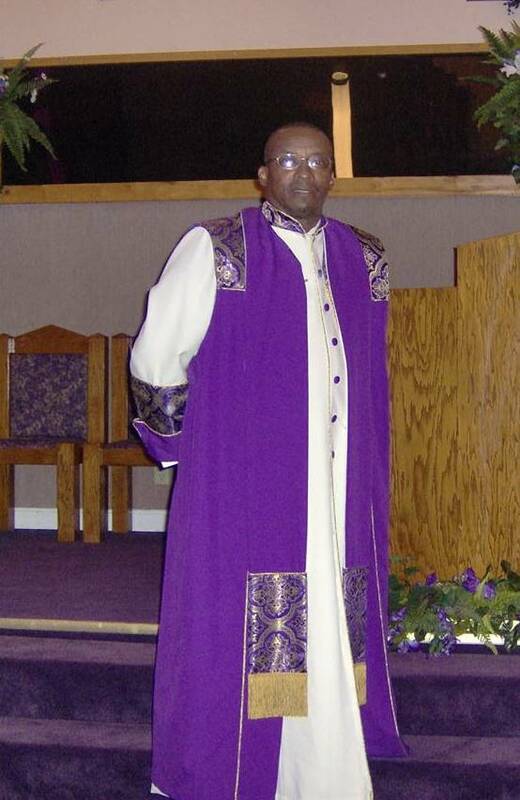 Pastor Smith currently serves as the 1st Vice President of the Ideal Missionary and Educational Association. Emanuel is the proud father of two adult children and has four grandchildren. Emanuel was united in Holy Matrimony to his lovely wife Diana on the island of Kauai, Hawaii, June 22, 1997. When the citizens of New Orleans were able to return to the city after hurricane Katrina, Pastor Smith assessed the damage of our church and on Sunday, September 25, 2005 we held our first service. There was no electricity in Central City but Pastor was determined to have services. He also open our church to other churches in our city, so they could have service while they were rebuilding. Because of Pastor’s efforts to continue in the midst of the storm Ebony magazine featured our church and Pastor Smith in one of their 2006 editions. Our Pastor’s steps are truly order by the Lord and we thank the almighty for him.